During my piano lessons, you can learn theory, composition, play classical music and know the differences between different periods, play pop, jazz, rock, learn how to read lead sheets. I adapt songs you like to your skills so you can start playing your favorite music from the first day. Piano, recorder, singing, music theory, composition, musical initiation. individual and group lessons from 3 years old to adults. Private music teacher: piano and Spanish guitar. Musical initiation for kids and adults, Piano, Chamber music and Music theory. The training equips participants with all the tools they need to teach Voice Lessons in the professional Vocal Studio. Specialization on Jazz with the piano: practical course. An example of my own music. 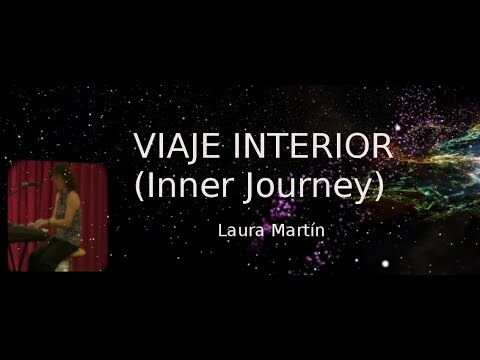 A journey through my interior, my deepest feelings. Plate for playing on the cafe "La Flauta Mágica". I met Laura in the summer of 2018 while searching for a voice coach for my 12 year old daughter. My daughter was comfortable with her from the first minute. She is eager to go to her lessons and smiling when she leaves. Laura likes to start with the basics and has an eye for identifying anything unique about her students voice that she can encourage and refine. My daughters voice and confidence have grown immensely. She just performed a solo in a talent show and received rave reviews from her peers and chorus instructors. More importantly, my daughter is finding her own voice and enjoying every moment of it thanks to Laura. Laura is a fantastic piano teacher. I’m an adult beginner and I love her teaching style. She makes you believe in yourself from the first piano lesson. She is excellent. I am amazed at how much I have learned in one year!! I highly recommend her. Laura was tremendously helpful in teaching me the practical necessities and techniques in performing vocals on a regular basis. I'd never had formal voice lessons, and while I felt confident performing, I tended to blow my voice out, which limited show lengths. Lauren taught me how to keep up the energy, intensity, and full vocal range, while being able to maintain stamina and intensity throughout a show. Thank you, Laura! I have been learning piano from Mrs. Laura for the past 2 years. She has been wonderful and I have learned a lot under her guidance. She is a great teacher with lot of patience. My child has been taking private piano lessons with Laura for over a year now and he loves it. She is very patient and engaging and makes it a fun learning experience for her students. She is also flexible in teaching different compositions based on the student's interest and pace of learning. Excellent piano teacher. Very familiar with all genres of music. Extremely patient and easy to work with. I look forward to each week’s lesson, along with some instruction to practice at home. Great teacher! I'm enjoying her classes very much. I was so happy to find a teacher that is able to conduct the class towards my objectives and likes, and, at the same time, pushes my technique skills forward! I've being practicing a few different music styles, so far: classical, evergreens, rock, musicals. Glad that Laura has this wide range of knowledge. And classes are fun!